if you dont press the generate button. yeah i see your point. I really liked this page, it also works on my ipad which is a bonus! 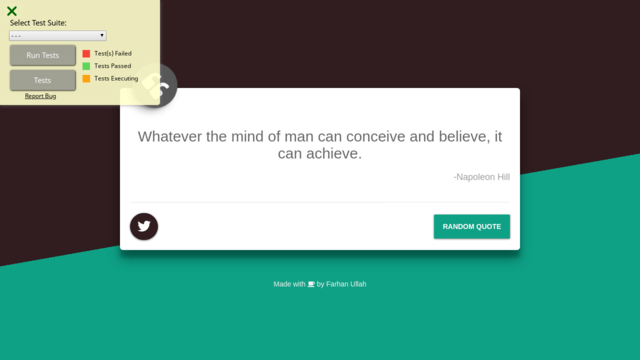 Can you find a color and style for the quote card and quote text that fits your design better? The plain white and black with plain text font seems bland considering the nice page you made. At least consider trying different fonts or messing around with the charcater spacing or weight. That’s the only nitpicky thing i could think of! Great job!